On behalf of Moms Back the Blue of the St. Louis County Police Family Association, we offer our heartfelt condolences to the family (blood and blue) and friends of Deputy Sheriff Horn. We will be forever indebted to you for your selfless service and sacrifice. He was my friend and brother. He loved serving his fellow man! He was in love with his job and did it with pride! He died doing what he loved and should be honored until the end of time! R.I.P. brother. My soul hurts, but I rejoice in the fact I will see you again at the end of my journey! Deputy Horn, So sorry to hear about your heart attack, which resulted in your LODD. Thank you for your service. You will be missed but not forgotten. May GOD bless you and your family (Blood & Blue) abundantly, during this time of loss and mourning. Rest In Peace Brother!!! To the family of Deputy Sheriff Ray Horn, friends, Sheriff Mark Reynolds and the Comal County Sheriff's Office. Thank you officer Horn for your service .Now go rest High on The Mountain .My prayers are with your family !!! We are so saddened by this terrible news.! Rest In Peace Deputy Sheriff Ray Horn ❤️ We are so thankful to you for your service. Our thoughts and Prayers go out to your family, and all of your sisters and brothers in Blue that protect us. God bless you all!! So very sorry for the family's loss. Praying for comfort. Thank you for your service. Rest Easy Brother! We’ll take it from here! My sincere condolences to the family and friends of Deputy Sheriff Ray Horn on their loss. Thank you for your service to your community and for making it a safer place to live. Rest in peace officer. The thoughts, hearts and prayers of everyone here at CCPD go out to the families, both blood and blue, of Deputy Horn. May the Good Lord give you strength, comfort and peace. Cape Carteret Police Department, Cape Carteret, NC. Rest in Peace Deputy Sheriff Horn. 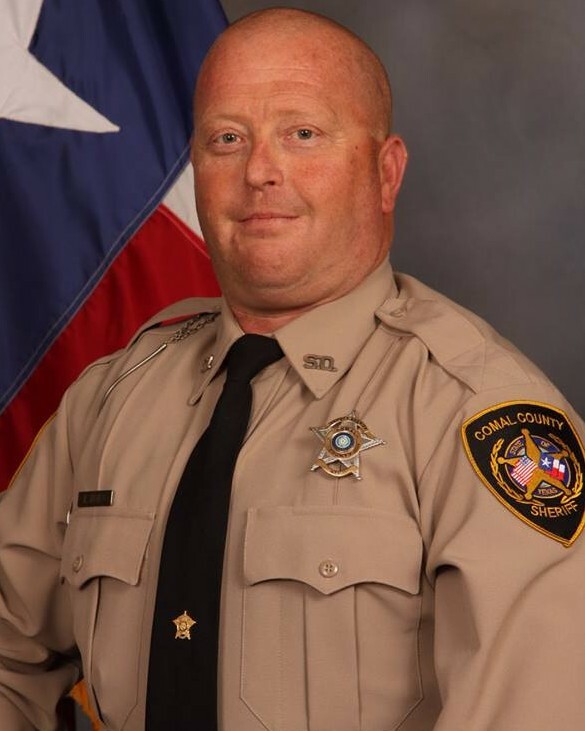 Prayers for Deputy Horn's family, friends, and the Comal County Sheriff's Department. Rest in Peace Deputy Horn,your brothers and sisters have the watch from here.